Peregrine is a spacious cabin with 1 queen bed and 4 twin beds. The sleeping arrangements are two twin beds in the loft, a twin bunk bed in the back bedroom and one queen bed in the main bedroom. Large sitting room, couch and love seat. Dining area and full kitchen. A full bath is just off the side of the living room. 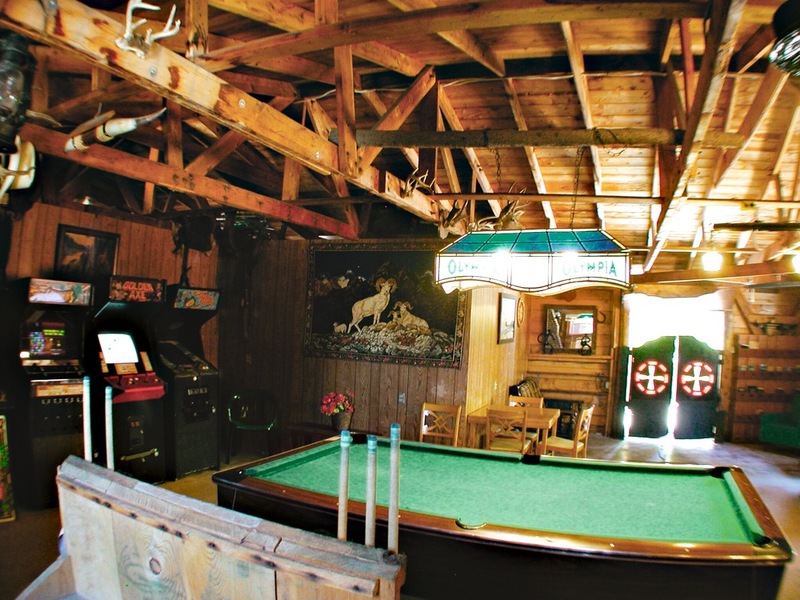 There is also a screened-in porch and private picnic area with Gas Grill, picnic tables and comfortable seating arrangements. Guests are also welcome to use the immaculate, modern bathroom & shower house with four large tiles showers located in the RV Park. Guests are also welcome to use the washers and dryers located in the RV Park. This will feel like home. The short drive to Yellowstone is a scenic one with beautiful views of the Park. Free Wifi avaliable in public areas, such as the Game Room. 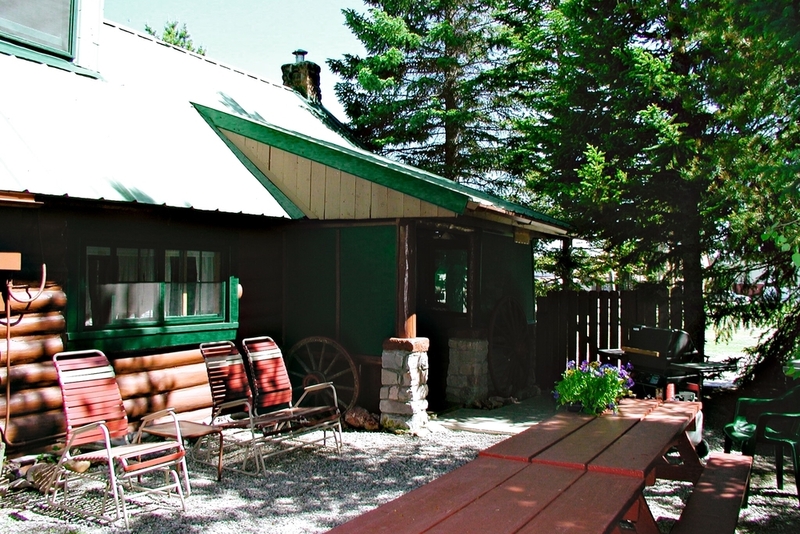 Red Sparrow Cabin is 600+ square feet with a full bed and all linens & bedding supplied. Fully equipped kitchen with dinning area, refrigerator, gas stove & oven, microwave, coffeemaker, toaster and kitchen utensils. This cabin has electric heat and window air conditioner. There is also a screened-in porch and private picnic area. Cable TV is available. From the moment you walk through the door you'll find it home. Set away from the hustle and bustle of Yellowstone crowds, it offers a quiet retreat to the end of each activity filled day. Enjoy this furnished two-bedroom cabin with two double/full beds in West Yellowstone with the perfect location that is private, quiet, and filled with all the comforts of home. There is only a curtain between the two bedrooms. There is no kitchen but we have a coffee maker, microwave oven and a dorm refrigerator. Electrical heat and window air conditioner available. Yellow Warbler has one full bed and a bathroom with tile shower. There is a fully equipped kitchen with dining area, refrigerator, gas stove & oven, microwave, coffeemaker, toaster, cook-ware and kitchen utensils. Private picnic area.